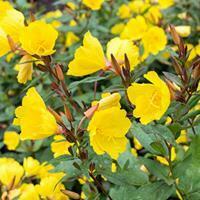 Sundrops is a wonderful name for this glowing chalice of a flower. Blooming for two months starting early summer, with new flowers opening every day, plus flashy burgundy fall and winter foliage. 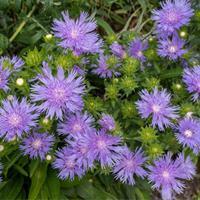 Once a passalong plant among gardeners who know a good thing when they see it, it is right at home as a bright edging or groundcover. 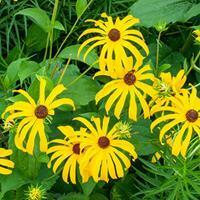 A beautiful plant that helps native insects and birds, sweet coneflower is strong and enduring as well as non-running. Masses of clear yellow 3” daisy flowers bloom all summer into fall. 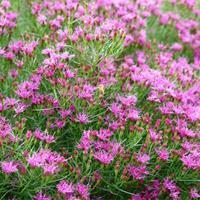 Lovely with bee balms, swamp milkweed and asters in borders and meadow plantings. Native to most of the USA, blue vervain’s branched spikes of purple contrast wonderfully with all those daisies of summer and fall, especially good in masses with other moisture loving natives, such as bee balm, swamp milkweed and sweet coneflower. Best in the wild garden as it runs and self-sows to beautiful effect. When I first laid eyes on this native in full, glorious, finely cut, grass green foliage, I didn't care if it bloomed or not, it was that beautiful. 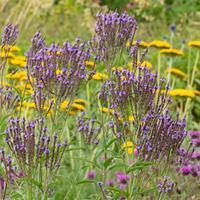 But it does bloom, and in fall it is dotted all over with brilliant violet-purple tufted flowers. Valuable late food source for butterflies too. March and April ship dates may ship as dormant plants. Native to dry prairies; from Minnesota, South Dakota, south to Georgia, and Mississippi. 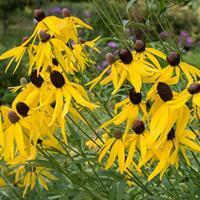 Beautiful large light yellow petals droop from tall purple-brown cone centers, blooming all summer. Nice combined with purple coneflower.